DECEMBER GAME JAM: Theme: WHAT'S IN THE BOX? [GAME JAM] DECEMBER GAME JAM: Theme: WHAT'S IN THE BOX? THEME: WHAT'S IN THE BOX? We will announce the theme on the December 11th stream, when the jam will officially kick-off. Detailed rules to available here <-- Link fixed, Edited some typos and added participant awards. Each submission will receive a code redeemable for one 30 day subscription code per team member (up to 5), and the top 3 submissions will receive three 30 day subscription codes per team member (up to 5) and a t-shirt! We'll be featuring the top submissions on the Twitch stream on December 18th, as well as posting winners to our official blog! Last edited by Chance Ivey; 08-05-2015, 01:07 PM. Awesome! I've been waiting for this! Feeling stuck? One-on-One free email support! Click here! I missed the last one, but I am definitely going to enter this time around. Awesome guys! Can't wait to see what you come up with! Dang, I'm already doing another Game Jam at the exact same time. Maybe if we're lucky the theme could fit both competitions, not very likely though. 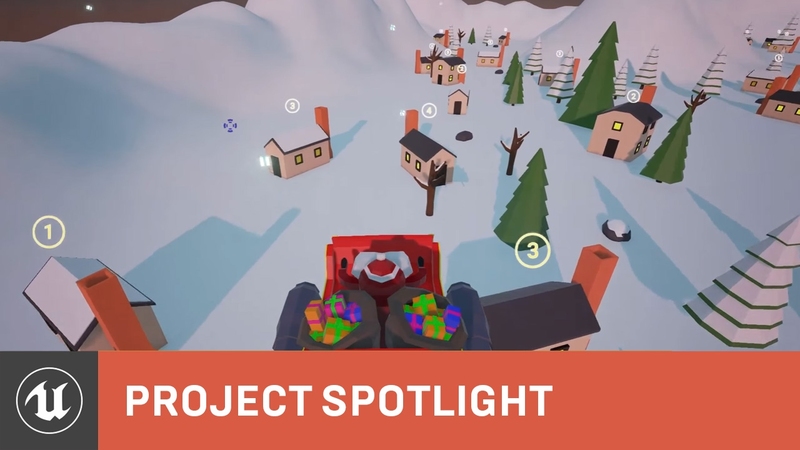 I really love game jam but I don't know if it's a good idea, but sometime, I would like to see something else different ,like (i don't know) ArchyViz , persona, particlefx or something surprising. Last edited by ChrisTm; 12-06-2014, 11:27 AM. Hey, it's sounds like great idea! Like Game jam, then Art jam and then again game jam and etc! I'll most likely join this one, but since I just did Ludum Dare last weekend, will prooobably take it a little bit easier. Still, there's a title to defend! Ready to start. I bet the theme will be XMAS and this time all games will have dwarfs, gifts and santa claus. I want to take part but knowing myself I'll just give up. Anyways, wanted to say that the rules link in Chance's post is wrong it gives an error page. Remove the "unreal" part from the url and you'll get the rules .doc.